An act put forward by a bipartisan group of lawmakers would make a program that gives fourth-grade students free access to national parks a permanent one. 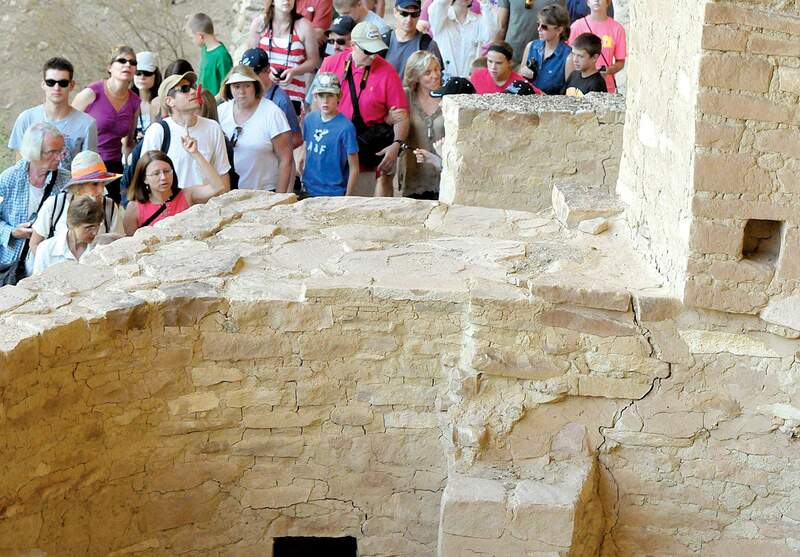 Mesa Verde National Park has had 500 students this year visit the park under the program. DENVER – Lawmakers are hoping to take a successful program that gives free access to public lands to fourth-grade students and their families and turn it into a law. U.S. Rep. Scott Tipton, R-Colorado, and a bipartisan group of lawmakers have introduced the Every Kid Outdoors Act, which asks the Department of the Interior to maintain a program that has provided 2.2 million students free passes to public lands since it was created in 2015. The passes would be to lands managed by the U.S. Forest Service, the Bureau of Land Management and the National Park Service. Kupper the program ensures younger generations exposure to the parks by removing the price of admission. “These kids are the future ... As they mature in age, they’ll be the next generation that will be leading parks and taking care of them,” she said. In addition to providing passes the last two years, the Every Kid in a Park Program facilitated educational activities for more than 350,000 fourth-graders and coordinates with the Ticket to Ride program to transport children to parks. Jill Blumenthal, education and volunteer coordinator for Mesa Verde National Park, said the park uses the Ticket to Ride program extensively. In 2015-16 Mesa Verde, received $9,000 in transportation funding to bring 954 students to the park, Blumenthal said. In 2016-17, the park received the same amount of funding, as well as $1,000 from the Mesa Verde Museum Association. Because of its rural location, Mesa Verde has had difficulty using all of its grant this year, so only 500 students have been transported to the park, Blumenthal said. In previous years, Ticket to Ride funding was available for any elementary or secondary school trips. But this year it can be used only for fourth-grade students. Blumenthal said she hope Mesa Verde can find eligible programs over the summer to use the rest of the funding.